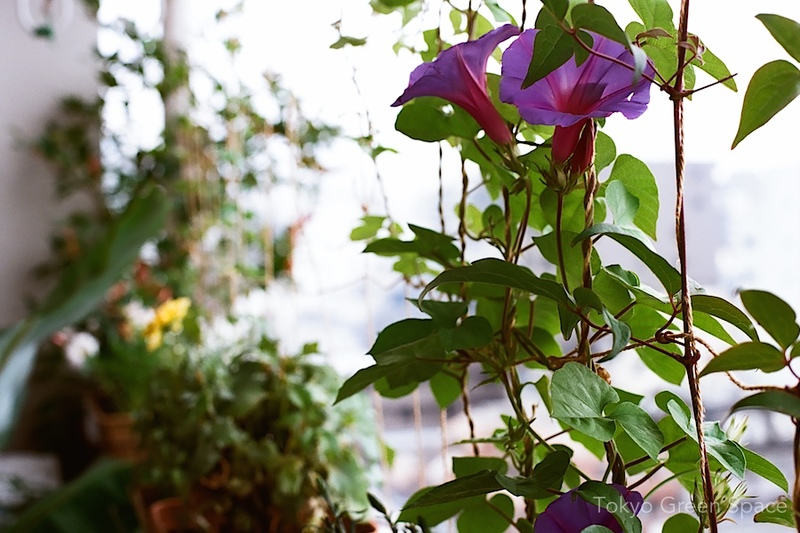 I love this Okinawa morning glory that I’ve been growing on my balcony for years. Even after a hard trim last fall, it’s back and blooming every morning. The flowers are brilliant against the grey sky.